Individual traders not associated with the big institutions might also use self-trading platforms to manage their trading and research activities. But in many cases, the individual investors might find sifting through mountains of data in the form of historical trading performances, news, and media reports to be very challenging. AI is used to help traders automatically keep track of the most important trends and events that might affect their trading performances. Trading relies on the use of trade prices and low latency systems to act on changes in pricing relationships. This makes it ideally suited to machine learning processes and some very successful trading strategies have resulted. Investment research and analysis plays a key role in trading. Investment managers or traders at investment banks spend a significant amount of their time in gathering and analyzing data regarding financial news or events. This includes data such as financial statements, annual reports of companies, earnings call transcripts, investor presentations, trading volumes and trends, news and social media and press releases. According to Golladay, AI software can today help banks and financial institutions augment the capabilities of their traders, clients, and portfolio managers. AI tools might be used to reduce the time taken for investment research processes by automatically crawling through data sources and doing so at a scale that would not be possible for an individual trader. Institutional traders or wealth managers may be constrained by time frames for proving investment returns to their client. In several cases, this might lead to traders overlooking some information or missing patterns in the data that might be critical to understanding the impact of a financial event. In essence, the operational time and costs involved with manual investment research lead to lower overall returns for banks and other institutions employing traders or wealth managers. Additionally, the scale of the research tasks might mean that traders often miss out on favorable trade opportunities that might have had significant returns had they been identified correctly. Golladay says that NLP and machine learning might help traders and analysts by providing an AI-powered curation of the research data. For example, a financial analyst focused on oil and gas portfolios might need to research and monitor events such as mergers and acquisitions or new product launches in the market. AI-assisted research for such an analyst might involve developing an algorithm that takes inputs from the analyst in terms of what types of news events need to be included, which oil and gas companies to cover, or what the most appropriate sources for each event are. The algorithm might then be trained over time to automatically retrieve a curated list of the most relevant financial event information from the preferred sources for that analyst. AI-enhanced investment research assistance could help banks and financial institutions increase revenue and improve the research experience for their traders and clients. In addition, AI systems are continually improving over time through feedback from the researcher, allowing for faster and more in-depth research. The business outcomes of banks and other financial services companies that offer trading platforms to clients or individual investors are dictated by increases in customer loyalty and trading performance. In the world of trading from a day trading perspective there are many tools. But for self-directed investors there is opportunity for applying augmented intelligence to find new investment opportunities. Customers feel like there’s too much data sifting [which] becomes challenging. Existing platforms are not engaging and products are not personalized, making individuals disadvantaged against institutional investors. AI software can help banks offer personalized trading insights to their traders and provide them with a deeper understanding of patterns in their historical trading actions. For instance, an AI tool used by an investment trader or portfolio manager at a large bank might help identify buying or selling actions that resulted in losses in the past. AI algorithms can be developed to generate a Profile-of-One for each trader by taking into account their trading preferences, internal enterprise data from the bank and external news or social media data. AI software could provide personalized insights by predicting and recommending what the trader’s next best actions or ROI needs might be. For example, in a hypothetical situation, assuming the stock prices for Amazon closed 15% lower than average on a particular trading day, and a trader had placed buy orders for Amazon stock under similar financial circumstances twice in the past. An AI tool might automatically lookup historical trading actions performed by the individual and make a correlation between these events. The tool might then prompt the trader with an actionable insight suggesting a buy order for a certain number of Amazon shares along with an explanation of why this suggestion was made. 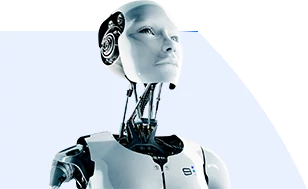 If the trader also declares his or her interest in certain companies, the AI tool might take that into account and suggest trading actions for those companies, allowing traders to assess all their opportunities including ones that might have been missed due to lack knowledge or information. Golladay explains that AI tools that offer personalized trading insights might involve a combination of AI techniques to affect a specific business outcome for the trader. This might involve using natural language processing to scour through internal document at banks and financial institutions or scrape the web for news events that might be relevant to a trader’s goals and interests. Additionally, AI tools might also involve machine learning-based pattern recognition to identify useful insights from historical trading actions. Historically, stakeholders in the financial trading domain have been among the early adopters of data analytics and AI. This might be due to the fact that the players in this segment have amassed large amounts of historical data and already have teams of software developers to implement rules-based algorithms and process automation. With the addition of data scientists into their ranks, banks and financial institutions could now extend their capabilities to effectively leverage the data they have collected. That said, all AI applications require good quality data in large volumes. Firms need to generate training datasets that can be input into AI software to gain something useful out of their data. In the short term, Golladay seems to agree that AI software might largely be used with a human in the loop, improving and augmenting the capabilities of human analysts or traders. Ultimately, highly complex tasks are best suited to humans and machines working together where each plays to their own strengths. For example, developing long-term investment strategies or construction of portfolios over a decade might be areas where human involvement is necessary at the moment. Banks and financial institutions that have access to historical trading datasets can likely use AI software to help their traders make better decisions. But identifying trends that are useful and accurate requires huge amounts of data. For example, if a business has access to trading and financial market data that has been captured at a millisecond level for over six months or more, it might be possible for the company to deploy AI solutions. Once trained using curated datasets from the millisecond level data, AI tools can identify patterns in new financial market data that might signify either growth or fall in the near future. AI tools can then help traders identify opportunities by promoting them with trading insights. Business leaders in banking and financial services firms engaged in investment trading operations might find that deriving the right benefits from AI implementations while simultaneously avoiding any regulatory or compliance risks might be boiled down to developing systems that are input with the right types and quantity of training data. According to Golladay and other AI experts, there seem to be commercial AI products, of varying complexity, that are tailored to trading firms. It is important to remember though, that the human resource investment might be substantial to these projects. Analysts, young associates, vice presidents — anyone whose job is moving a column of data from one spreadsheet to another is going to get automated … Those people are not going to have jobs. Although automation is one capability that investment firms can gain through the use of AI software, deriving machine-generated insights might be the biggest value add for traders. Financial business leaders can augment the capabilities of their traders by leveraging internal and external data to gain research and trading recommendations. Unlike mere automation though, AI systems with access to large training data sets might improve to a point where they are capable of identifying long-term patterns, such as different strategies for volatile and non-volatile trading environments. This article was sponsored by CognitiveScale, and was written, edited, and published in alignment with our transparent Emerj sponsored content guidelines. Learn more about reaching our AI-focused executive audience on our Emerj advertising page. Artificial Intelligence Hardware – Who Should Adopt it First, and Why? From the soaring stock price of NVIDIA, to the cutting-edge developments at Facebook and Google, AI hardware is a hot topic. We set out to learn more about what executives should know about the coming developments in AI hardware - and how it might impact different industries and sectors. High-frequency retail (HFR) segments, such as groceries and drug stores, have ongoing challenges with profit margin - with grocery margins nearing 1% on average, according to an analyst from market research firm IBISWorld.